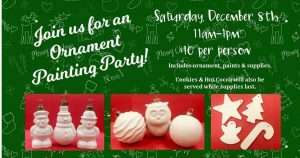 Paint N Party Winter Sale & Ornament Painting Party! 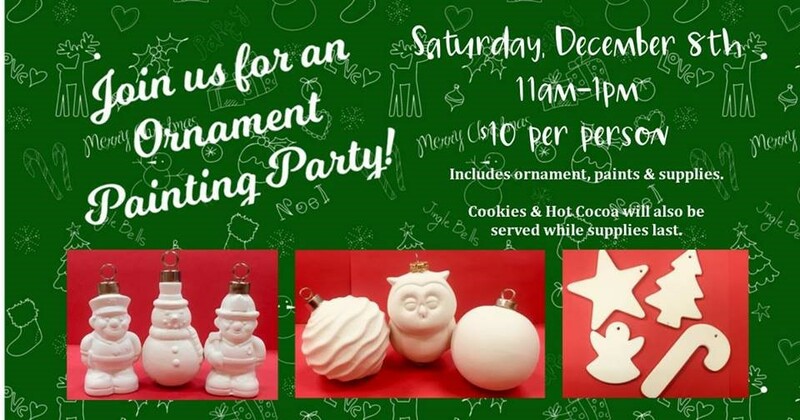 Join us for an Ornament painting party Saturday, Dec. 8th from 11 am – 1 pm, and enjoy coffee and hot cocoa while supplies last! 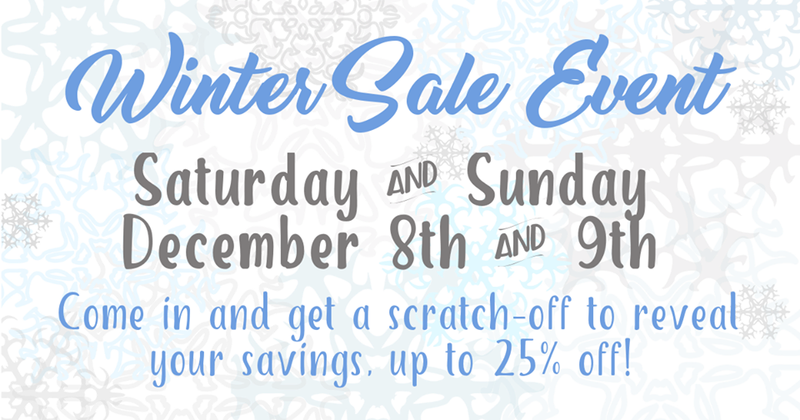 Come in December 8th & 9th and get a scratch-off to reveal your savings up to 25% off!